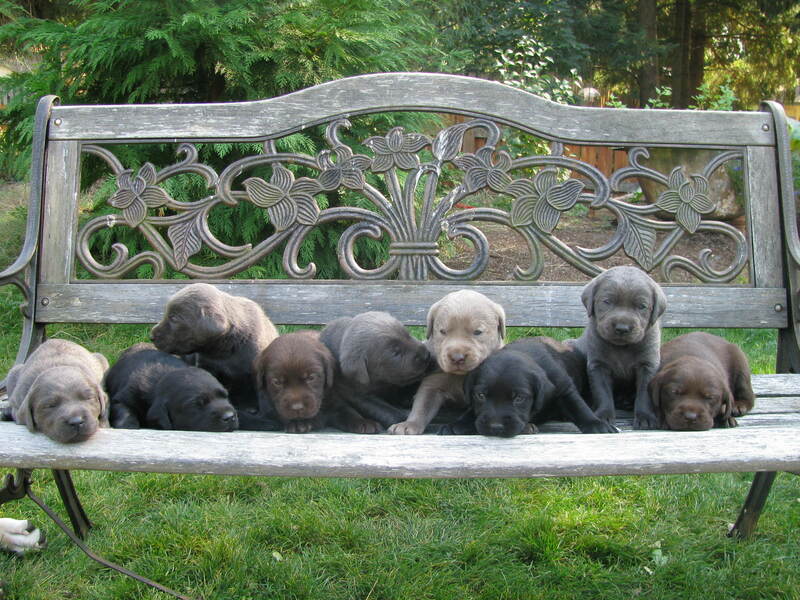 Gunmetal Silver Labs | We are excited about the quality of our dogs and want to pass on their excellence. We are excited about the quality of our dogs and want to pass on their excellence. We at Gunmetal Silver labs have one sire, Hickory Smoke, and one dam, Silver Rain or “Rainy”. They’re our family. We do not have a large breeding facility. We bred Hickory and Rainy for the simple joy of having puppies around. We are serious animal lovers–although my wife wants nothing to do with dog kisses, licks, slobber, or saliva. But, alas, slobber is the casualty of love. Checkout our Facebook Page for pictures and videos! Photos, Videos & Text cannot be used without written permission. What does a silver lab look like when it’s full grown?